To develop, manage and distribute gifts to support Carolinas HealthCare System Blue Ridge in providing excellent care. Douglas Thompson, MD (physician link) is a local hematologist and oncologist at Carolinas Healthcare Blue ridge cancer center since 2010. He has a passion for endurance racing that he combines with fundraising for cancer charities. He has run multiple marathons, ultramarathons, ironman triathlons and obstacle course races over the past 16 years. He has run a marathon or ultramarathon in all 50 states and DC as well as all 7 continents. Many of these races have been fundraisers for the Leukemia and Lymphoma Society, The American Cancer Society, and his local cancer center patient care fund. Some highlights of previous fundraisers include running the North Pole marathon, staged races running across the Atacama Desert of Chile and through the jungles of Costa Rica and the Hawaii Ironman World Championship. Kevin Green is a certified physical therapy assistant at Carolina Sportscare and Physical Therapy in Beaufort, SC. He is also a certified lymphedema and sports conditioning specialist as well as an Ironman certified coach. 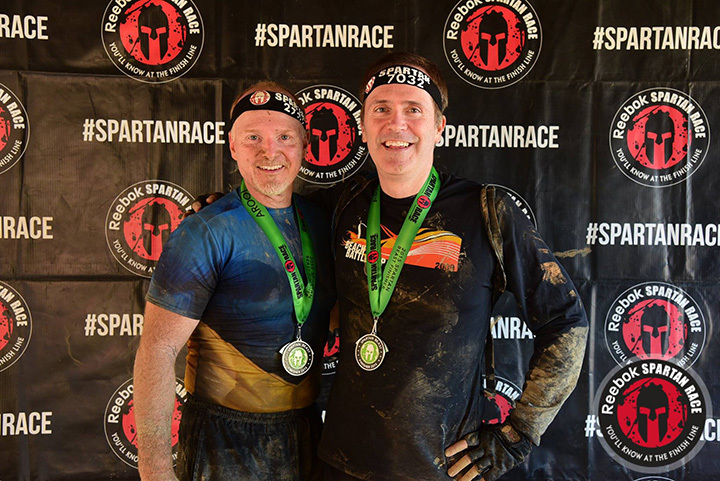 Kevin and Doug have been friends since 2002 and have done many races together including marathons, ultramarathons, Ironman triathlons and most recently obstacle course races including the Spartan ultrabeast. Kevin is an avid triathlete who has completed 5 full ironman distance races. He helped Doug train for his first ironman race in 2004 that they completed together. He also does many of his races to raise money for cancer charities. Kevin’s mother recently lost her battle with stomach cancer in the past year and he would like to race in memory of her this year. Both Doug and Kevin plan to compete in the World's Toughest Mudder race in Atlanta, Ga this November 10 as a fundraiser for the Blue Ridge Healthcare Foundation Cancer Patient Fund that supports our local cancer center. The Blue Ridge HealthCare Foundation Cancer fund can be used to help patients with costs of medication, transportation, utilities, wigs, cancer screenings & other needs. World's Toughest Mudder is a 24 hour obstacle course race where racers run a 5 mile loop of multiple obstacles as many times as they can over 24 hours. It is considered the hardest obstacle course race in the world. Awards are given for racers that complete 25/50/75 and even 100 miles over the 24 hours. 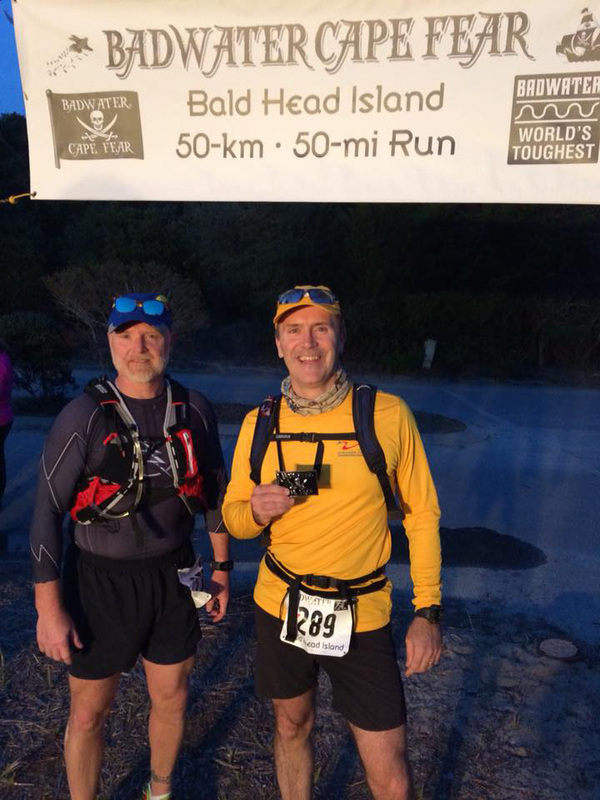 Doug and Kevin hope to complete at least 50 miles during the event.